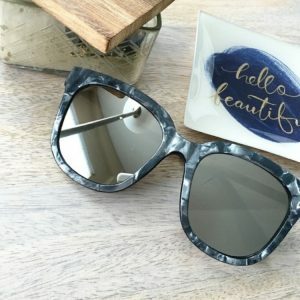 I am not really the sunglasses kind of gal, but I do think these sunglasses are gorgeous. I love this marbled, mirrored look. If I could I would actually get everything in my house marbled, but I will just have to settle for these for now.